Minneapolis/St. 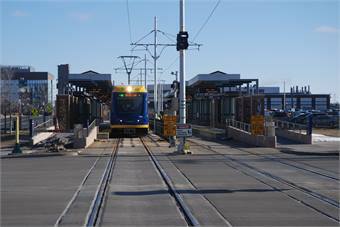 Paul-based Metro Transit opened its second light rail line, the METRO Green Line, formerly called the Central Corridor, on Saturday. The line, which was delivered by the Metropolitan Council on time and on budget, is the largest completed public works project in Minnesota history at a total cost of $957 million. The construction of the METRO Green Line employed 5,500 people and created 200 permanent new operations jobs. Construction spurred more than $2.5 billion in development along the line.